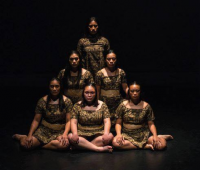 Artist Ufitia Sagapolutele will be performing AVE - a mixture of hip-hop, siva Samoa and contemporary dance. This work has been performed at Te Papa Museum, Auckland War Memorial Museum, Auckland Art Gallery and The Performance Arcade in Wellington. Original generation time 1.2086 seconds.